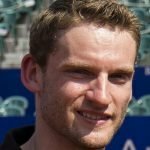 Germany’s Maro Engel has joined the Venturi Formula E squad in time for the third season. He can look back on a versatile career in several different racing series. Growing up in Monaco, he went to school with Formula 1 world champion Nico Rosberg, whose father Keke Rosberg played a huge role in getting Engel’s career started. The Finn convinced his father to give Engel his first kart for his sixth birthday which became the foundation for his diverse career. After karting until 2000, he got his first taste of single-seaters in the German Formula BMW championship – first the juniors’ program and in 2002 the proper championship. After finishing in P8 overall, he went on to race in Formula 3. He started off in the German version of the championship before moving on to British Formula 3 in 2006. After securing a strong 5th and 2nd place in the two years he spent racing in Great Britain, he impressed Mercedes enough to hand him a full-time DTM drive. In the following four year he was part of Mercedes’ DTM squad before leaving to gain experience in the International GT Open series as well as the Australien GT championship. In the years to come, he was part of several different racing series, such as V8 Superscars, ADAC GT Masters and the Blancpain Endurance Series. In the end of 2016, he made his single-seater comeback when he joined Venturi in Formula E. Just months later, he was also announced as a Mercedes DTM driver for the 2017 season. Even though he was gone from single-seaters for quite some time, he quickly made an impression in Formula E, scoring a point on his debut with Venturi Formula E. He has proven to be especially strong in qualifying and is known for his very high speed and agile driving style on the various street circuits.